[Dr. Rachelle Buchbinder] recently reported in The New England Journal of Medicine about an operation called vertebroplasty. During this surgery, medical "cement" was injected into a fractured spinal bone to provide extra strength to it. The surgeons hoped this approach would relieve back pain because compression fractures of the spine occur frequently in the elderly. Thirty-six other patients believed they were undergoing the same procedure. But in their case, to mimic the effect of the operation, surgeons just tapped against the spine, making them believe the needle containing medical cement was being inserted into the spinal bone. To make it more authentic, they made sure the odour of the cement was present in the operating room. Dr. Buchbinder says those patients who had the sham surgery reported they experienced the same relief of pain as those who had the real operation. Interesting. So the treatment group fared no better than the control group. It's always nice to hear about the results of a negative study, because the file-drawer effect is a major problem in science publication. Oh, wait—that's not the end of the article. But how can this happen? It's believed the placebo effect depends on multiple factors, one being what's called "patient expectant effect." In other words, if a patient is convinced an operation is going to relieve pain, the result will be better than that of a patient who doesn't think it will work. The question is whether dummy treatment is fraudulent and should be relegated to history. Or should doctors use placebo therapy under certain circumstances? One needs the wisdom of Solomon to answer this question. But let's end on a positive note. We also know that real surgical operations and medicines can kill you. To my knowledge, no one has ever lost his life from placebo treatment. Oh, Gifford-Jones. It's like he goes out of his way to annoy me. After all, why engage in good medical journalism, when there's a readily available placebo? I hear that the generic brand is just as effective. Are placebos effective medical treatments? No. 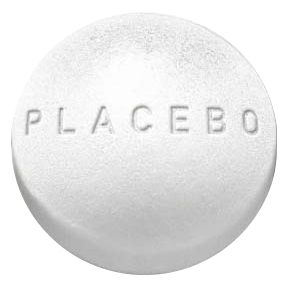 At best, placebos are "effective" in roughly 30% of cases, and they are only "effective" on symptoms with a high psychological overlay (e.g., pain or nausea). Objective outcomes are not affected by placebo. But here's the kicker: it isn't clear whether people are perceiving less pain or if they are simply reporting less pain. When placebos do seem to affect objective outcomes, this effect occurs in the form of regression to the mean (when symptoms are at their worst, they tend to improve a little), the natural history of the disease (many diseases—colds, flus, etc.—get better on their own), or confirmation bias for good measure. Placebos are used because they don't work. That's the really important part. Placebos aren't used because they work; they're used because they're necessary to maintain blinding procedures in clinical trials, which prevents bias in patient, practitioner, and analyst. If no one knows whether they're receiving the treatment or not, no one can unintentionally (or intentionally) distort the results. Even if placebos did work on some "mind over matter" principle, their use would probably require doctors to tell their patients that they are prescribing effective, science-based medical treatments. If doctors start lying to their patients, that could have a very real effect in eroding the trust between patient and practitioner. And that's not good for anybody. When Gifford-Jones asks if doctors should use placebo therapy under certain circumstances, he's ignoring one of the central problems with the so-called "placebo effect": we don't know if placebos actually reduce the perception of pain, nausea, stiffness, etc., or if there's simply a bias in the reporting. People don't like saying "no". If you don't believe me, imagine for a moment the following scenario: you're over at a friend's house for dinner, picking delicately at your food, and your friend says, "I tried something different with the lasagne, this time 'round. Did you like it?" Let's assume, for the sake of argument, that you're not fond of his pineapple lasagne. Which of the following responses are you more likely to give? "Ah, yeah, it wasn't too bad," or, "No." I'll give you a more pertinent, real-life example. My father used to practice what amounts to a form of therapeutic touch, or "energy healing". As a child, if I injured my wrist in a fall, for example, he'd clap his hands together, rub them briskly, and hold them on either side of the affected area. "Feel that?" he'd say, holding his hands about an inch above my skin. "Uh, I guess so," I'd mumble. I didn't feel anything, but I didn't know how to respond. I didn't know if there was something wrong with me, or if my father actually thought that his hands were magic; neither option was a good one. "Feeling better?" he'd prompt. "Yeah," I'd say, just wanting it to be over. "Yeah, I think it is, a little." It wasn't, but I didn't want to disappoint him. My main problem with Gifford-Jones' reporting on this issue is that he is taking trials with negative results, and spinning them as if they are positive results. When a treatment is demonstrated to be no better than placebo, you don't conclude that the placebo is also an effective treatment—you conclude that the treatment doesn't work! Unless you're studying acupuncture, anyway. It's also important to remember that any benefit from the placebo effect is also present in a real medical intervention. And as Mitch Hedberg might say, "That's a double-whammy." And placebos kill people all the time; they kill people through inaction. If you're undergoing a sham treatment, rather than an effective medical intervention, you could easily die. Don't believe me? Just visit whatstheharm.net. Hat tip to Grant Rogerson for the link. Matre, D., Casey, K.L., & Knardahl, S. (2006). Placebo-induced changes in spinal cord pain processing. The Journal of Neuroscience, 26(2), 559-563. Eippert, F., Finsterbusch, J., & Buchel, C. (2009). Direct evidence for spinal cord involvement in placebo analgesia. Science, 326, 404. Having been involved in many RCT's (lead or co-investigator) I can say with some confidence that the use of placebo (or sham when we are considering physcial interventions) is applied quite different in a clinical setting. The danger of placebo is in the failure to detect or treat an ominous cause for the offending symptoms. Clinically, these causes are the first to be assessed and ruled out by a trained professional. The clinical application of placebo is different from self-treatment with placebo (I don't think one can treat oneself with a known placebo - just my opinion), and both of these are different from the application in a clinical trial. As an aside, most clinical trials now avoid using placebo (ethical issues rather than therapeutic issues) and instead compare therapies to those already evaluated (i.e. usual care). Bingle , U., et al. (2011). The effect of treatment expectancy on drug efficacy: imaging the analgesic benefit of the opioid remifentanil. Science Translational Medicine, 3(70), 1-9. Although I find the discussions of pertaining to health entertaining, we must remember that the proper forum for this is in peer reviewed literature where robust arguments can be made and refuted with the vigour that is required. "Although I find the discussions of pertaining to health entertaining, we must remember that the proper forum for this is in peer reviewed literature where robust arguments can be made and refuted with the vigour that is required." Absolutely. At the same time, I think that it's important to address common misconceptions about scientific issues. I'm certainly no expert in these matters, and I always appreciate input from those who work in the field. Many thanks for your comments.